It was Wendy’s birthday, so we treated ourselves to a great afternoon soaking and unwinding at the Glacier Hot Pools in Franz Josef. When we finally stumbled out of there we were relaxed and ravenous! Right across the street we spied Priya Indian Restaurant and our dinner plans were made! 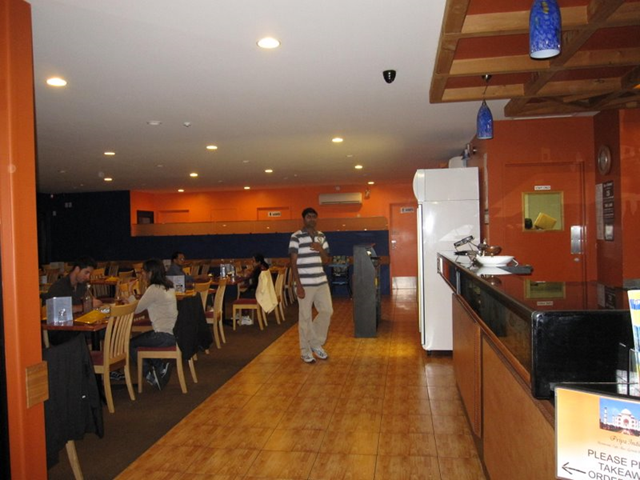 The interior is brightly painted and the restaurant’s large windows look out onto the street. The restaurant is very informal and we seated ourselves. We decided to share the Veggie Banquet Platter, $28NZD/per person. It includes a vegetable platter with assorted appetizers, two vegetable curries, pappadoms, basmati rice, plain naan, and vanilla ice cream or gulab jamum (a traditional Indian dessert). We started off with the appetizer platter. The pakoras were oddly hard and lightly spiced. The bhagee were very greasy and tasteless. Sadly, we found nothing to be impressed with, and hoped for better from the rest of the meal. The disappointment continued with the Butter Paneer ($17NZD if ordered on its own). The tasteless tomato sauce with tiny bits of chopped cashew did nothing to help the bizarrely chewy paneer. It was very odd. The bad luck continued with the dal, which was extremely disappointing. It was supposed to be red pepper dal. It had maybe two pieces of red pepper. We ordered it mild, since our baby was sharing our dinner. This dal went beyond mild. It was tasteless. The pappadams were too salty and not even served warm. The rice was terrible. Yes, you read that right. They managed to make terrible rice. Apparently, it can be done! We washed it all down with what was supposed to be a chocolate shake. It was much more like very, very sweet chocolate milk, since it wasn’t frozen or even thick. Finally, dessert arrived. By this point we weren’t very hopeful, but we were pleasantly surprised! The gulab jamun was served piping hot and very, very sweet – just the way it’s supposed to be! It wasn’t even overly greasy (which can be a problem). Finally – something that tasted the way it was supposed to! Overall, we clearly can’t recommend this restaurant. Despite the friendly service and the very convenient location, we would never choose to return. 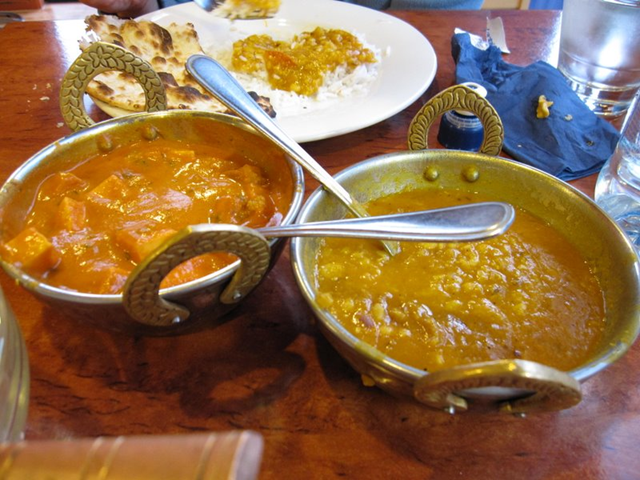 Believe it or not, the Priya Indian Restaurant is going out of business! Sounds like your review was very fitting. I would strongly disagree with the above comments. We have visited this restaurant lately and without doubt we have enjoyed food very well. Thanks to management for providing us such a wonderful meal. We will definitely visit them again and again.